When packing up your picnic basket, be sure to include a new and healthy snack that kids and adults alike will enjoy – Luckybar! Luckybar was created by Founder, CEO and mom herself, Jamie Oberweger, to help provide better nutrition for her son and other picky eaters everywhere. Since launching two and a half years ago, the company has more than doubled in in size year over year. Founded by a mom and crafted by a doctor, Luckybar is one of the only bars exclusively designed to meet kids’ nutritional guidelines and lifestyle. They come in 5 delicious flavors, including, Chocolate Campfire, Cosmic Chocolate Caramel Almond, Crazy Coconut, Pirate Peanut Butter Chocolate and Strawberry Sandcastles and are the only kids bar that has more protein than 2 large eggs. 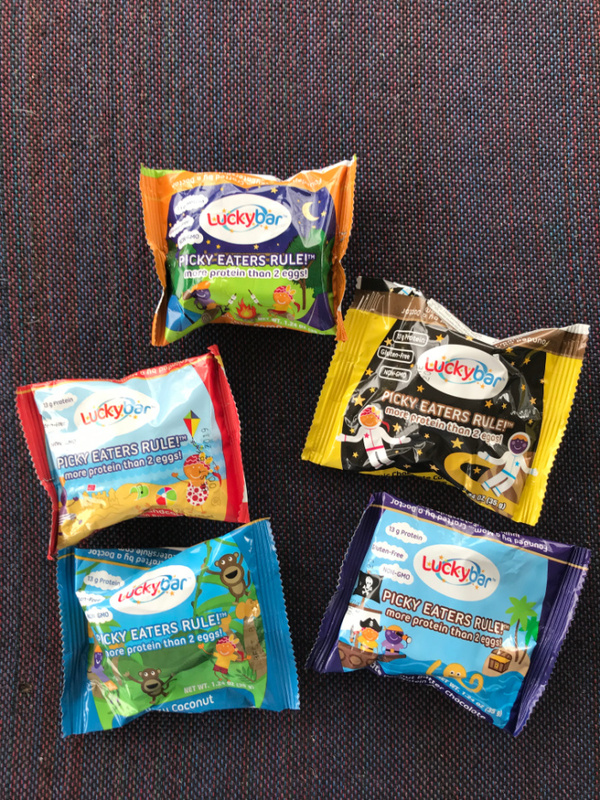 Luckybars are also low in sugar, carbohydrates, fat and sodium and have no fillers, gluten or preservatives so your little ones can think they’ve scored a sweet treat! My personal favorite is the Cosmic Chocolate Caramel Almond. Hannah loved the Pirate Peanut Butter Chocolate and I love that she delights in eating something good tasting and good for her. Luckybars are available for purchase online and will soon be in retailers in select areas. Pick yours up today for a great Spring outing, or maybe when it is your turn to play snack-parent to you child’s team practice or game.